Not in the mood to cook at all this long 2018 Labor Day weekend (aside from that backyard barbecue you've already planned)? You're in luck. Plenty of fast food joints and restaurants are offering up free (or really cheap) food all weekend long. See below for all the deals! Get a sugary midafternoon pick-me-up at Baskin-Robbins. 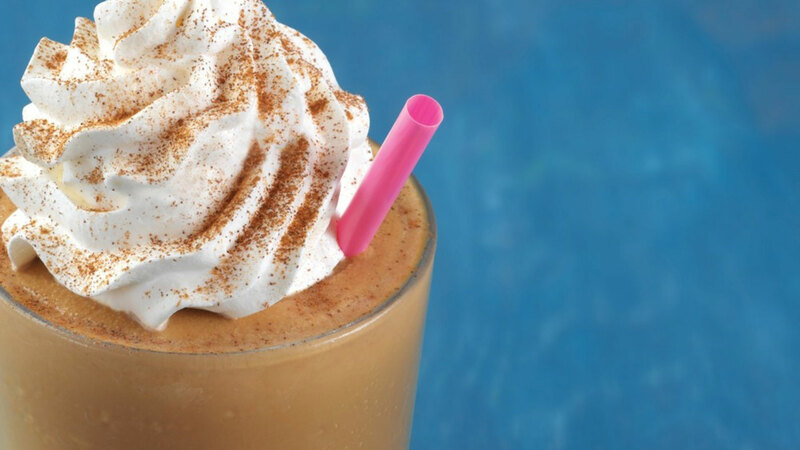 Head to the store nearest you and pick up a free sample of their Pumpkin Cheesecake Cappuccino Blast on Sunday between the hours of 3 p.m. and 7 p.m. If you don't mind paying a little extra for a slightly larger size, purchase a small Cappuccino Blast for just $2.99 throughout September and October. Get half off any pizza on Sept. 3 at BJ's. They're also offering $10 off your $40 purchase through Sunday. Cheap drinks and apps over at Italian restaurant Carrabba's! From Friday through Monday, Carrabba's has an all-day happy hour that includes $2 to $3 beers, $5 premium spirits and specialty cocktails and half off their appetizers. Plus, you can get 9-ounce glasses of wine and sangria for the price of their 6-ounce glasses of wine/sangria. Until Sept. 12, get free delivery on any order of $10 or more using the DoorDash app. Fast food chicken joint Church's has a deal that extends far past Labor Day weekend. Throughout the month of September, get their Real Big Deal meal for just $5. The deal includes fried chicken and two sides. Through Tuesday, get a free snack with the purchase of a drink, or get a free drink with the purchase of a snack. Here's the full flyer with more info, but basically, it's a buy-one-get-one-free offer. Download Dairy Queen's new mobile app and get a free small Blizzard. If you're willing to pay, Dairy Queen is also offering a $4 burger-and-a-Blizzard deal. For $5, get six boneless wings, a buttermilk biscuit, dipping sauce and your choice of a side. No free or cheap food here — LongHorn Steakhouse is doing things a little differently this Labor Day weekend. For those hosting a barbecue at home and in need help grilling, you can call up LongHorn's Grill Us Hotline at 1-855-LH-GRILL on Labor Day from 10 a.m. to 4 p.m. When you call, a certified grill master will answer the call and guide you. On Labor Day, get one free slice of pie as part of Marie Callender's Free Pie Monday deal. The catch? You must buy an entrée too. Through Sept. 23, Olive Garden is offering a BOGO meal deal (specifically, buy one meal in the restaurant, and take one meal home for free). Buy one entrée at Rubio's and get one free through Sept. 23, but you must use this coupon. On Labor Day, all of Sonic's shakes, floats and ice cream slushes are half off after 8 p.m.
For just $30, you can get a four-person family feast at Spaghetti Warehouse. The offer is valid Saturday through Monday, and you must use this coupon. Have fun and be safe this Labor Day weekend!